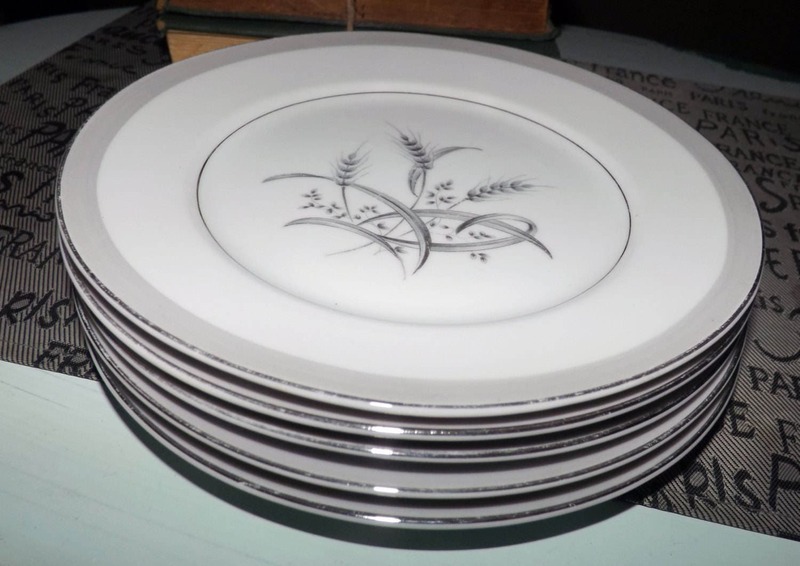 Set of 5 vintage (1960s) Silver Wheat salad or side plates. Made in Japan by Sone China. Platinum edge, accents. MINT! 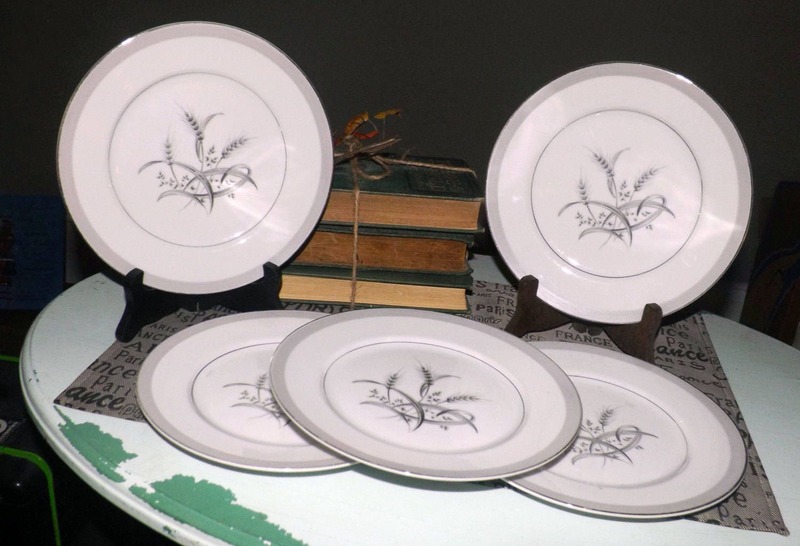 Set of 5 vintage (1960s) Sone Japan Silver Wheat pattern 1593 salad or side plates made in Japan by Sone China. 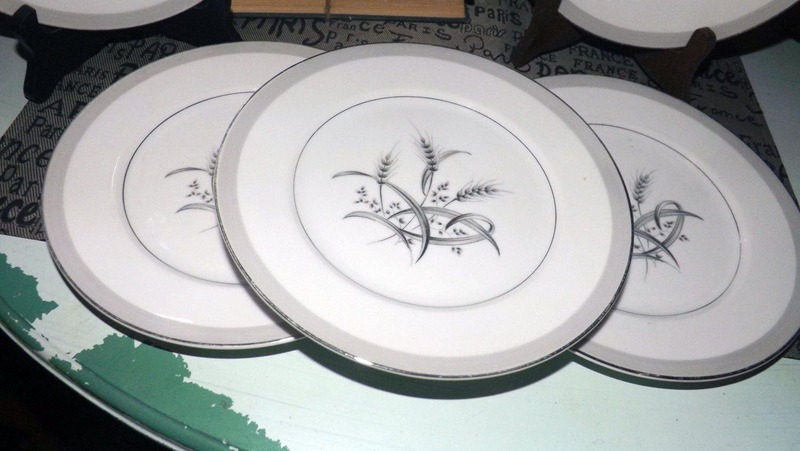 Silver Wheat 1593 features, as the pattern name suggests, a central image of gray wheat sheaves with a platinum edge and inner band and a light gray verge. In EXCELLENT! condition with NO! chips, nicks, cracks, or fleabites, NO! crazing, LITTLE TO NO! loss to the smooth, platinum edge or inner bands and NO! marks, stains, scratches or other signs of use or wear. The gray wheat sheaf pattern is bright and vivid with NO! noted fading. Approximate measurements: 8-1/2" in diameter (measured edge to edge) with a smooth, platinum edge. 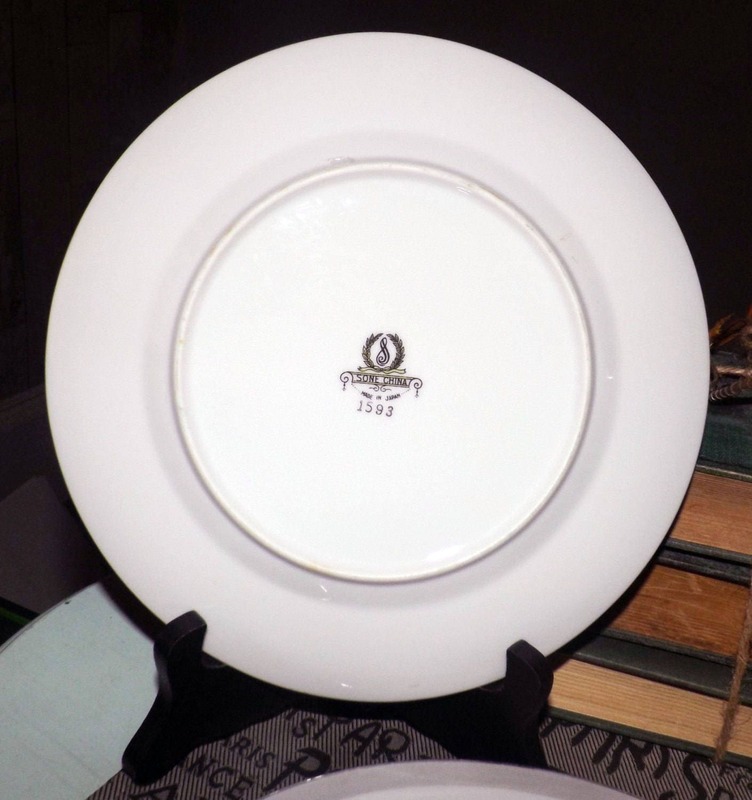 THIS LISTING IS FOR ONE SET OF FIVE PLATES. 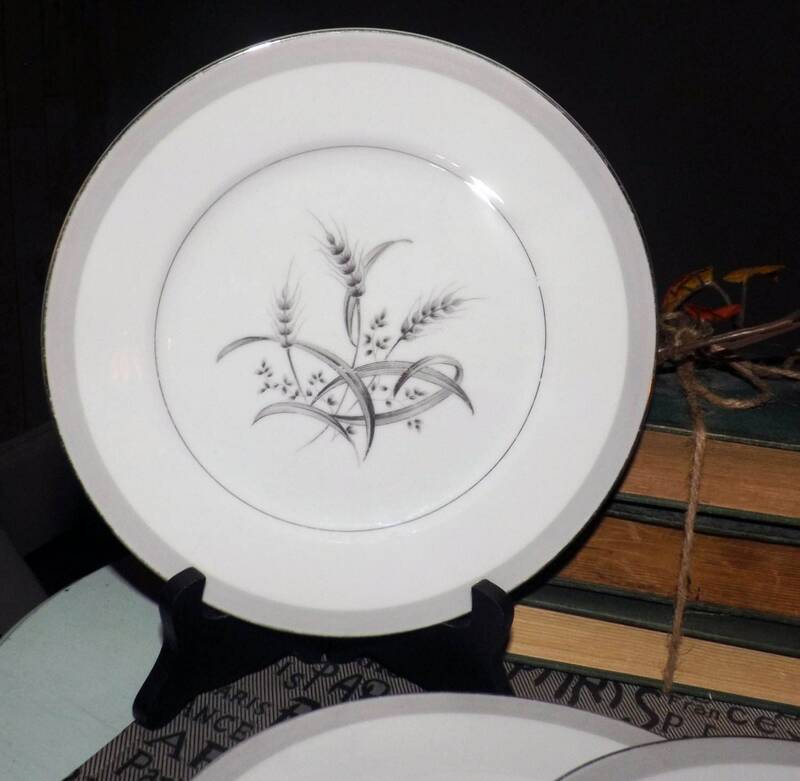 Currently, more than one set of these plates is available in the shop.